Is China’s Belt and Road Initiative a risk worth taking for foreign investors? Five years after it was first unveiled, questions remain about whether foreign participants can actually benefit from the world’s most ambitious infrastructure plan, Rupert Walker writes in The Peak magazine. 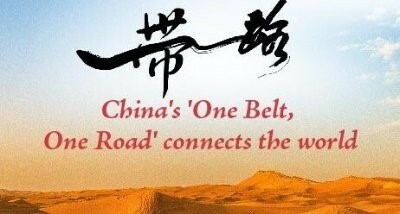 China’s Belt and Road Initiative (BRI) has aroused almost as much skepticism as it has raised expectations. The USD900 billion project to recreate the old Silk Road trading routes between Asia and the rest of the world, first outlined by China’s President Xi Jinping in 2013, heralded an extraordinary program of power, transport and infrastructure construction. “The BRI is a manifestation of China’s re-globalization ambitions, especially its commercial and economic engagement with neighboring countries. There is no defining blueprint, it is not a specific, discrete strategy and nor is it a type of Marshall Plan,” says Nicholas Kwan, Director of Research at the Hong Kong Trade Development Council (HKTDC). According to the Chinese government, there are more than 100 separate agreements that make up the BRI. These agreements and projects are cross-border, bilateral and multilateral and include not only infrastructure schemes. “BRI is progressing fast if you value the number of projects that China has financed, some of which are extremely relevant in terms of improving physical connectivity at a global level. So far there are around USD350 billion worth of projects financed, the bulk by Chinese development banks and only marginally by foreign banks or international financial organizations,” says Alicia Garcia Herrero, Chief Economist Asia-Pacific at investment bank Natixis. Altogether 68 countries and regions are included in the BRI and China’s Ministry of Foreign Affairs has released a list of 270 commitments, including bilateral agreements between countries. Headline projects include a USD5 billion China-Belarus industrial estate, a USD3.1 billion bridge and railway project in Bangladesh, the USD5.8 billion China-Laos railway, a USD10 billion refinery in Saudi Arabia, a new city next to Colombo’s port in Sri Lanka that will have a total investment of USD13 billion over the next 25 years, and a freight route that now links China’s eastern coast and London. Outweighing everything is the China-Pakistan Economic Corridor, a USD60 billion effort consisting of numerous projects. For Pakistan, the investment amounts to about 20% of its GDP. This activity will drive demand for raw materials, including iron ore, and steel. China’s state-owned enterprises are likely to benefit; but overseas investors can also hope for rewards by taking a positive view on commodity prices. However, major projects have already faced difficulties. Khorgos, a crucial rail hub and aiming to become the world’s largest dry port, is mired in logistical problems. The opening of a free-trade zone (FTZ) in Urumqi has been delayed, and security problems plague Pakistan’s Gwador Port. In Myanmar, the USD3.6 billion Myitsone dam project was abandoned after local protests over environmental concerns, as were the Budhi Gandaki hydro-electric project in Nepal and the Diamer-Bhasha dam in Pakistan. So far, most of the investment in BRI projects has been supplied by China through state-owned enterprises (SOEs) and many have been funded through the Asian Infrastructure Investment Bank (AIIB). There are no clear BRI-linked listed vehicles for portfolio investors. Nevertheless, Nicholas Kwan of the HKTDC points out that there are several venture capital funds and angel investors directly taking part in BRI projects, although most are from mainland China and often based in Hong Kong. “For direct investors, it will be much harder as China wants to retain control of the projects,” says Herrero. Yet, foreign companies from the UK, Sweden, Australia and the U.S., notably GE, have already been co-investing with Chinese state-owned enterprises. It really depends upon how widely or narrowly BRI is defined. Both Kwan and Herrero recognize that project transparency and risk mitigation are issues that investors will need to contend with. On the other hand, they will be eventually rewarded with strong returns if they can identify the winners, they said. The number of freight trains traveling between China and Europe hit record levels, according to the China Railway Corporation (CRC), indicating growing economic ties between China and economies participating in the Belt and Road (B&R) initiative. Still, economies along the B&R have yet to make full use of the trains to ship their products into the booming Chinese market. The number of the trains hit a new annual record this year after initially being put into operation in 2011. This year, over 3,000 freight trains have traveled on 57 lines from China to European cities, topping the combined numbers reached in the 2011-16 period and pushing the aggregate to more than 6,000. The cargo service, considered a significant component of the B&R, now serves as a bridge between 35 Chinese cities and 34 cities in 12 European countries. The freight rail routes help cut logistics costs and improve trade efficiency between China and Europe – its largest trading partner – and more importantly serve to prove the viability of the B&R initiative as an enabler of trade connectivity, experts said. In the first 10 months of the year, trade between China and Europe denominated in the Chinese currency grew 16.2% year-on-year, according to Chinese customs data. There are other projects such as the yet-to-be-finished transcontinental expressway linking Lianyungang in Jiangsu province and St. Petersburg in Russia. The Chinese section of the transcontinental expressway recently opened to traffic. Some experts, however, worry that the cargo trains and expressways might aggravate imbalances of trade between China and some B&R economies. The volume of cargo is still unbalanced with a significant number of China-bound cargo trains carrying empty or partially loaded containers on the return journey. Ma Bin, Assistant Researcher at the Center for Russia and Central Asia Studies at Fudan University, told the Global Times that resources and networks need to be optimized to save costs and achieve efficiency. “It is particularly urgent to create domestic distribution centers and regional ones along the route to coordinate the flow of goods,” he said. Since the Harbin-Europe line was launched in June 2015, there are now four lines from Harbin to European cities, with 642 trains carrying a total of 37,268 containers. Among the trains, 311 were Europe bound and 331 China bound. Europe bound trains mostly carry vehicles and components, machinery, electronics and daily necessities. China bound trains mostly carry autos and components, and paper pulp. A total of 264 cargo trains have traveled on the Yixin’ou cargo line (Yiwu-Xinjiang-Madrid), carrying 21,536 containers by the end of October, the Global Times reports.